Many new and useful actions are available from the shortcut menus that you see when you right-click labels and objects in the user interface. As you explore Business Intelligence Development Studio and the Analysis Services features discussed in this topic, make sure that you right-click various items to learn about these options. 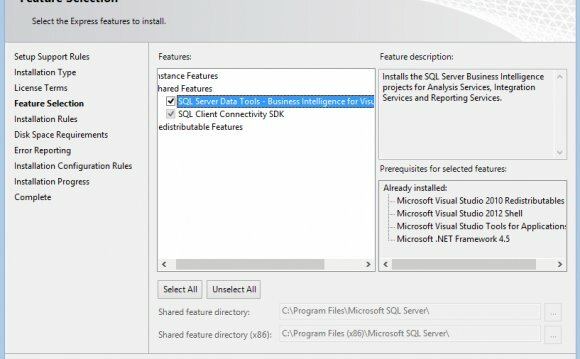 The following sections describe the components of Business Intelligence Development Studio that are unique to Analysis Services. You can use Solution Explorer to move through the different components of your projects. Double-click an item in a folder to open the associated designer, and right-click a folder to add a new item to the folder. Solution Explorer contains the following project items when you open a new Analysis Services project. Data Sources. A data source represents a connection that can be shared among OLAP cubes and data mining models in a project. For more information, see . Data Source Views. A data source view represents a subset of the data in a data source, and can also contain named queries and named calculations. Data source views can also be shared among multiple OLAP cubes and data mining models in a project. You can designate tables, views, or named queries from a data source view as the source of data for an OLAP cube or data mining model. For more information, see . Cubes. A cube represents a set of measures that are grouped into measure groups and hierarchically organized by dimensions. Cubes are typically constructed from data retrieved from relational data sources, such as an OLTP database, a data warehouse, or a data mart. For more information, see . Dimensions. Dimensions are used in Analysis Services to organize data within cubes. Dimensions use a combination of hierarchies and attributes to represent levels of categorization within a cube. For more information, see . Mining Structures. A mining structure defines the data domain from which mining models are built. A single mining structure can contain multiple mining models that share the same domain. For more information, see . Roles. Roles are used in Analysis Services to manage security for OLAP and data mining objects and data. For more information, see . Assemblies. Analysis Services enables you to add assemblies to an Analysis Services instance or database. Assemblies enable you to create external, user-defined functions using any common language runtime (CLR) language or any Component Object Model (COM) automation language. For more information, see . Miscellaneous. If you add files of other types, such as documents or images, to your Analysis Services project, these files are grouped in the Miscellaneous folder. You can use the following designers in an Analysis Services project in Business Intelligence Development Studio. To use a designer, open its associated project item in Solution Explorer. Data Source View Designer. The Data Source View Designer provides an environment that you can use to add and remove objects, designate logical primary columns, define relationships between tables, replace tables with other tables or with named queries, and add named calculations to existing tables in the data source view. For more information, see, , and . Cube Designer. The Cube Designer provides an environment to configure the cube and the objects in the cube. For international applications, you can add translations for Analysis Services objects. For processed cubes, you can browse the cube structure and view data. For more information, see . Dimension Designer. The Dimensions Designer provides an environment to configure the dimension and the objects in the dimension. For international applications, you can add translations for the dimension metadata. For processed dimensions, you can browse the dimension structure and view data. For more information, see . Data Mining Designer. The Data Mining Designer provides an environment that you can use to create, explore, and work with data mining models. For more information, see . Business Intelligence Development Studio contains the following custom menu items that you can use with an Analysis Services project. Database. Use the Database menu options to make changes to the Analysis Services database associated with the current Analysis Services project. For more information, see . Cube. Use the Cube menu options to navigate through the Cube Designer, or to perform operations specific to the cube selected in Solution Explorer. For more information, see. Dimensions. Use the Dimensions menu options to navigate through the Dimension Designer, or to process the dimension selected in Solution Explorer. For more information, see. Mining Model. Use the Mining Model menu options to navigate through the Data Mining Designer, or to perform tasks specific to the tab and options selected in the designer. For more information, see. The full functionality of the menu item is not available unless the associated project item is selected in Solution Explorer. You can set the following options, which are specific to Analysis Services, in the Options dialog box. To access the Options dialog box, select Options from the Tools menu.